Laminectomy for spondylolisthesis is a common add-on technique used in conjunction to spondylodesis (spinal fusion) for the treatment of vertebral slippage and related stenosis. Laminectomy is a very versatile surgical procedure that can resolve central and foraminal stenosis, taking pressure off compressed spinal cord and spinal nerve root tissues. However, it must be noted that laminectomy does not provide any semblance of a cure for listhesis itself. 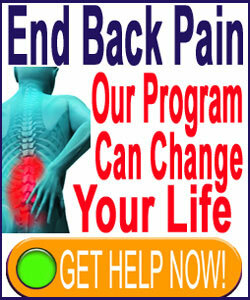 It merely addresses some of the common complications of symptomatic vertebral migration. Laminectomy allows doctors access to the interior of the spinal canal, enabling them to clean out arthritic accumulations and address specific and general blockages in the central and neuroforaminal canals. Laminectomy also allows surgeons the chance to simultaneously treat many other spinal abnormalities at the same time, including herniated discs. This patient guide profiles the use of laminectomy in listhesis patients. We will explain the uses of this popular surgical technique and how it may benefit symptomatic patients. However, we will also balance the conversation by examining the many downsides of laminectomy, including the risks inherent to the operation. Laminectomy is indicated for spondylolisthesis patients who demonstrate spinal stenosis or neuroforaminal stenosis due to abnormal vertebral migration and other causative factors. When used as a singular therapeutic modality, laminectomy will not do anything to change the position of the slipped vertebral bone, but will be able to resolve the stenotic formations associated with it due to misaligned central or foraminal canals. When the listhesis is stable and not in need of correcting surgically, laminectomy is sometimes used as a sole treatment option for various types of stenosis. However, laminectomy is more often used in combination with spinal fusion to resolve the abnormal vertebral placement, stabilize the spine and widen the central and/or foraminal canal spaces. This dual approach to care provides a cure for the listhesis, returning the backbone to a normal or near normal state of alignment, while also treating the symptom-generating forms of stenosis that exist inside the various canal spaces. Laminectomy is very effective at clearing stenotic formations in the central spinal canal, as well as from the neural foramina. The surgeon is granted direct access to the interior of the spine using this technique, so they can actually visualize any pathology that might be present and address even unforeseen issues that might be causative for pain. 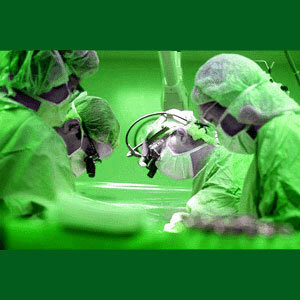 Laminectomy is a very flexible surgical endeavor, allowing successful treatment of many diagnoses. Better yet, newer, minimally-invasive versions of laminectomy (hemi-laminectomy) are now generally available and can reduce damage to the spine and surrounding tissues, facilitating quicker recoveries with less pain and decreased chances for complications. Laminectomy is perfectly indicated when multiple spinal irregularities are present and highly symptomatic, but the specific cause of pain is not clearly defined during noninvasive evaluation. Laminectomy inherently weakens the operated vertebral bones. This damage often necessitates spinal fusion, corpectomy or implant placement to reinforce the vertebrae and stabilize the spine. If a dual laminectomy/fusion is planned, this is a nonissue. However, many laminectomy patients wake up to find they have endured a spinal fusion that was not planned for. Worse still, this fusion is almost always avoidable, but performed anyway since it makes the entire procedure easier and more profitable for the surgeon, despite the many risks to the patient. Laminectomy can traumatize the spinal cord or spinal nerves. Procedures which access the interior of the spinal canal are known to be the riskiest and have the potential to do the most collateral damage to healthy central nervous system components. When combined with fusion or corpectomy, laminectomy becomes the most invasive form of spinal operation imaginable. Spondylodesis has many inherent risks of its own, which are detailed in our dedicated coverage of the procedure. Since curative treatment options for spondylolisthesis are greatly limited and almost always involve spinal fusion, patients must be careful to analyze the risks and weigh these against the benefits to be gained before deciding on laminectomy or laminectomy/fusion treatment.